Cette soupe est un classique chez nous. Très bonne, très bon dépanneur pour quand on a moins de temps. En plus, elle est vraiment bonne à manger quand on a le rhume. 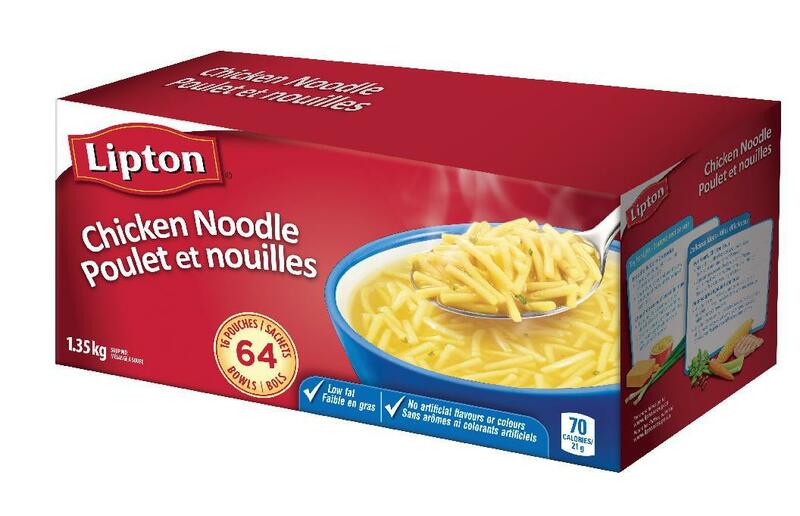 Ça manque par contre d'un peu de nouilles je trouve. I get the 20% less salt. I make 2 packages and add 1 potatoe, half a white ognion and 2 eggs. Thank me later. 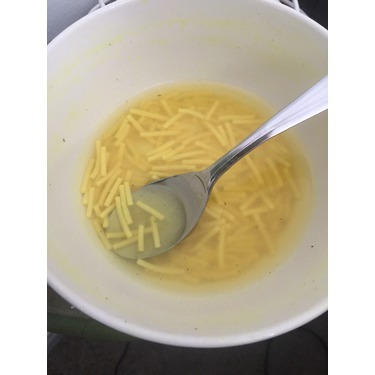 Could not imagine making this soup with any other soup... it comes out great every time. Have been buying for 10 years plus. I make strachiatelli with this. 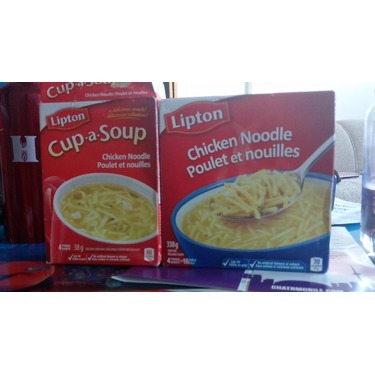 This is souper ;D easy to make, Delicious and great with crackers. 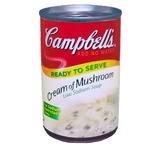 I will sometime add it into stew or big soup m ixes for flavor. great overall would recomend to others. I always have this on hand in the cupboard. 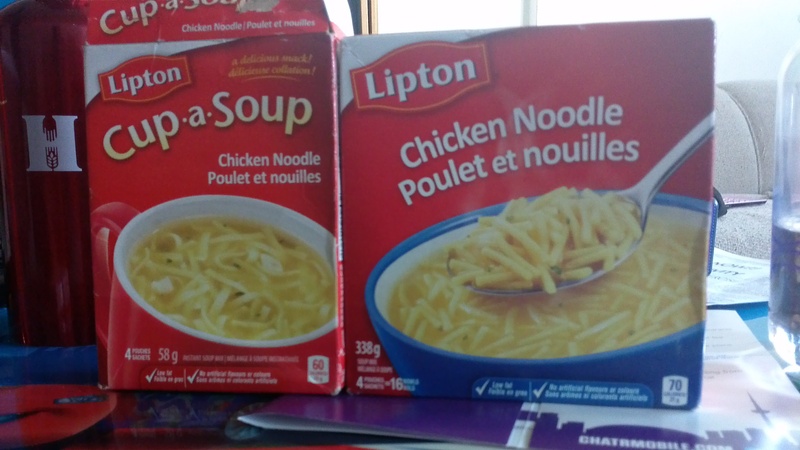 Either amazing when our family is sick. 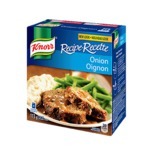 To and easy quick dinner we will have this with buttered bread or grilled cheese sandwiches . 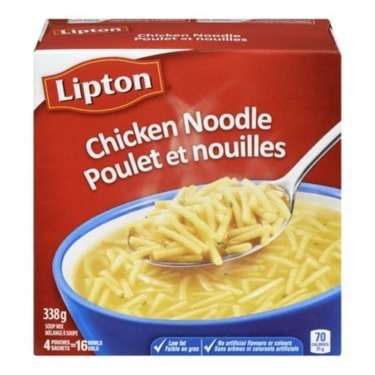 This was my 1st born sons go-to as a toddler wouldn't eat anything else! This product is so comforting when you are feeling sick. It just makes you feel warm and nice. Lifts up your spirits. I would recommend this to anyone who wants a quick noodle soup to help them when they aren’t feeling well. 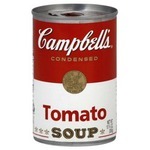 I absolutely love this soup wether it be a snowy day or a day I'm sick. The noodles are a nice size for an upset tummy. And the taste is very delicious not over whelming or under. 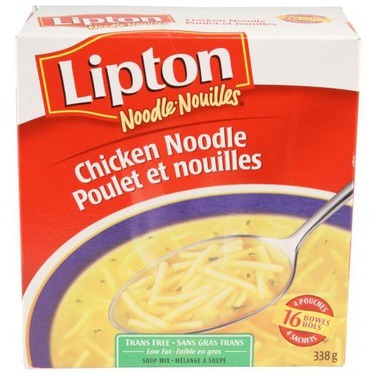 I love Lipton's chicken noodle soup for the taste and convenience. 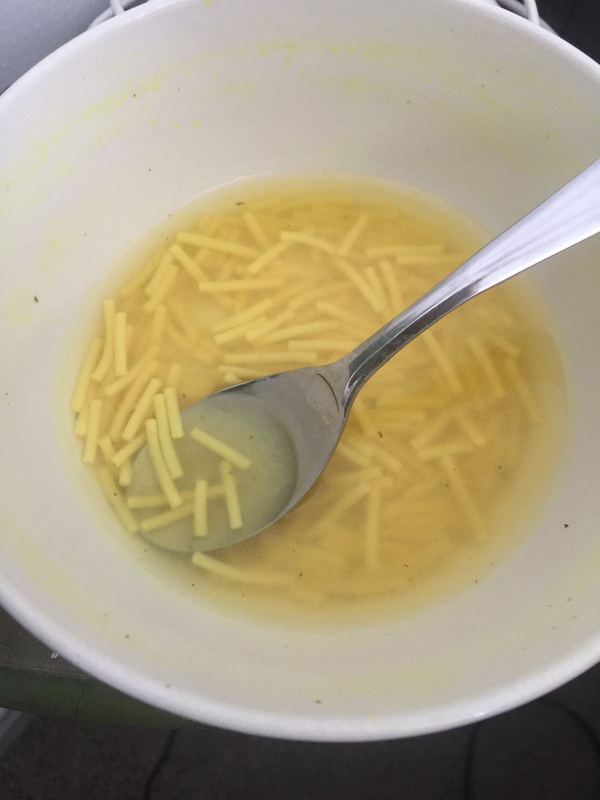 This soup has benefits for a healthy soup for when you want something satisfying to eat as well as soothing for when you are not feeling well. This tastes good and is easy to make, but then I realized that it has hydrolyzed soy protein which contains high levels of MSG. I don't want to eat this because MSG can cause weight gain. 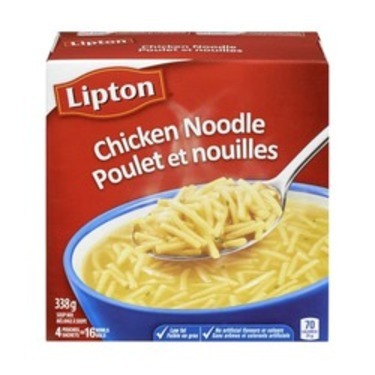 When I was a child my Aunt would make this once a week for lunch. I always loved it and thought it was homemade. 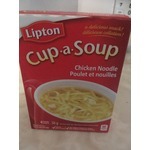 When I grew up I realized it was a store bought soup. I still keep it in my house to remember the good old days and to share with my kids for lunch. 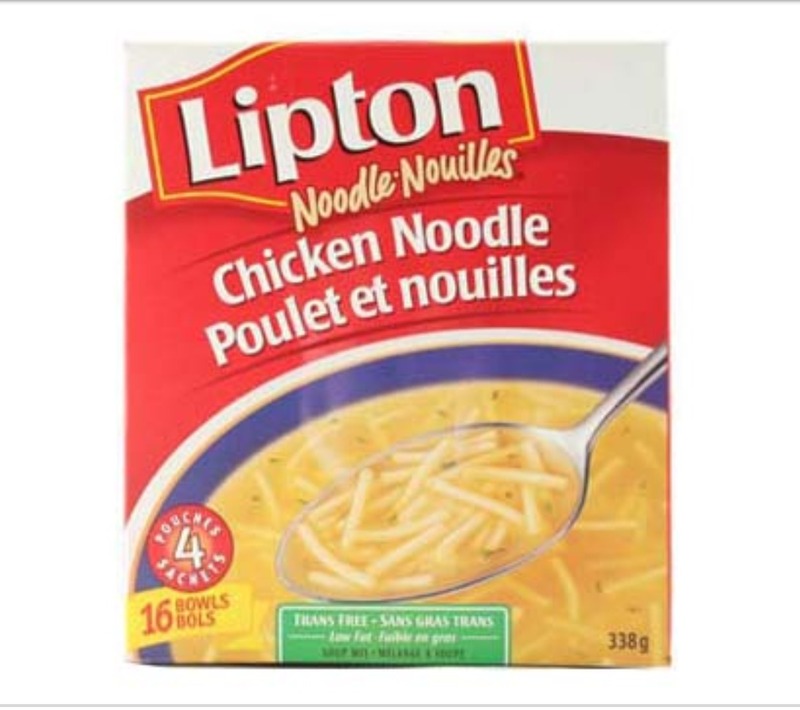 The flavour is like no other chicken noodle soup we love it. 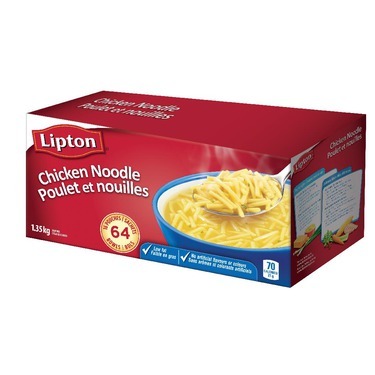 Parfait pour les repas pressé, et tellement réconfortant! 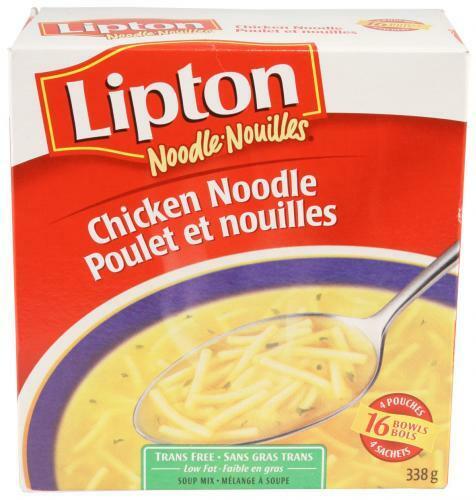 La soupe lipton est toujours un passe partout et un dîner gagnant a la maison! Avec des craquelins, c'est encore meilleur!